Confit made from Moulard duck raised without antibiotics or hormones. 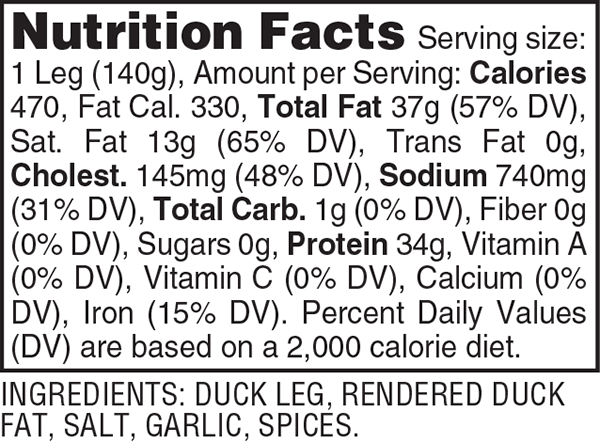 We make our duck leg confit with all-natural ingredients, using traditional methods perfected in Southwest France. Duck legs are slowly cooked in their own juices for classic confit that is flavorful, tender, and a great addition to your favorite dishes. Fully-cooked, quick and easy to heat, duck leg confit makes a tasty convenience food. 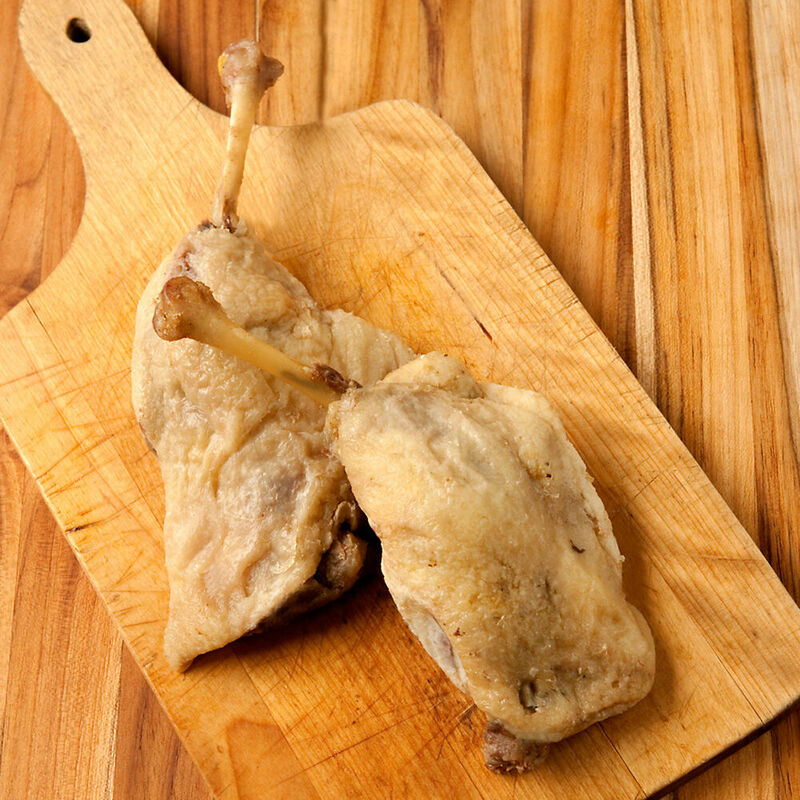 Cooking Tips: Our fully-cooked duck leg confit can be crisped in a skillet, grilled, or broiled. Add a salad dressed with a tangy vinaigrette for a quick weeknight meal. The meat can also be shredded off the bone for use in a variety of dishes, from soups and salads to pastas, casseroles, and even tacos.